Explore shapes, colors matching and sorting with the Sort N’ Spin Shape Sorter. 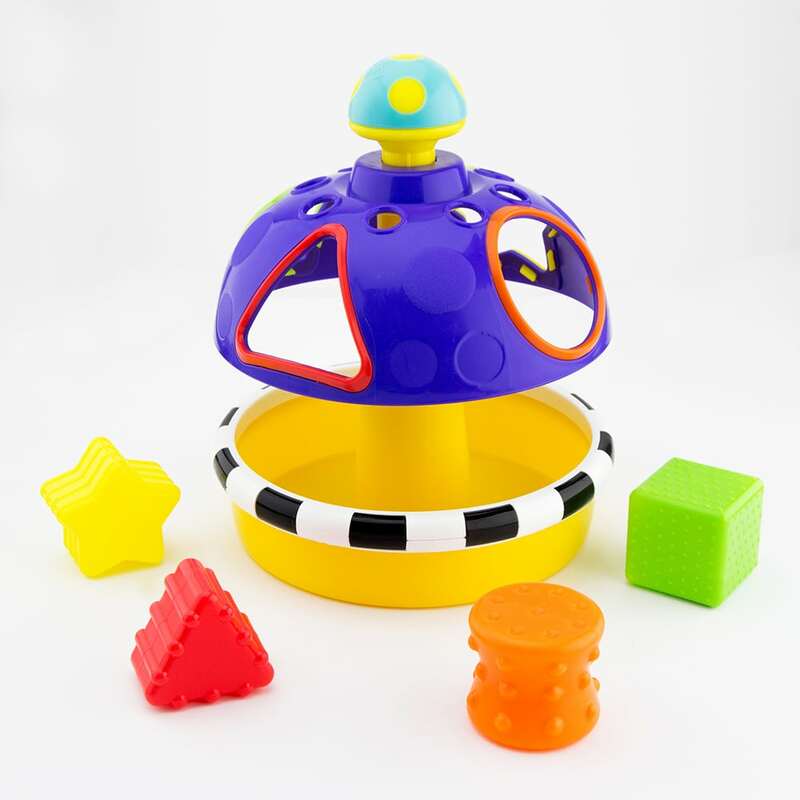 Each time the top opens, a new shape will face towards baby, keeping her engaged and making shape sorting fun! The Stacks of Circles promotes early STEM learning by teaching a child about shapes, colors, matching, sorting, differences and planning.